Visit Kamakura city, the first capital of Samurai Government. The old capital is deeply involved with Zen culture, which is a Japanese form of Buddhism. We will visit The Great Buddha and Hasedera Temple. After sightseeing in Kamakura, we are heading to Shin-Yokohama Ramen Museum for lunch. 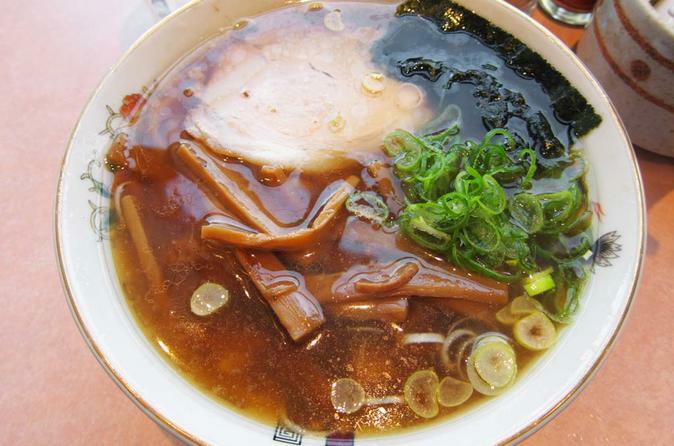 Try popular and delicious ramen there! Around 8am to 8:45 am Picked up at a hotel or apartment where you stay in Tokyo City except Adachi-ku, Arakawa-ku, Edogawa-ku, Katsushika-ku and Kita-ku. At 10.30am arrive at the Great Buddha which has more than 700-year history. Enjoy taking photos with the big open-air Buddha. At 11.20 arrival at Hasedera Temple. See Buddhistic statues in a cave and walk around the beautiful Japanese garden of the temple for 1 hour. at 13.30 have lunch at the Shin-Yokohama Ramen Museum. They have many kinds of ramen shops and some of them serve vegetarian or Muslim-friendly ramen. Discover your favorite! at 17.00 dropped off at the Shinkuku Station and the tour is ended.